When it comes to affordable housing the South West of England may not be the first location that springs to mind.The South West of England is comprised with some of the most expensive places to live in the UK. It is not only expensive in the South West but it is also home to some of the fastest growing towns and cities in the UK, which are not only popular with commuters but can also be incredibly rural. When it comes to housing needs the South West takes up a lot of the government’s resources because of the size of the area it covers. Nine regions in all fall into the South West zone, these include Cornwall and the Isles of Scilly, along with Devon, Dorset, Gloucestershire and Somerset and Wiltshire. Bristol, Bath and North East Somerset as well as Swindon, Plymouth and Bournemouth also fall under the government’s responsibilities for housing in the South West. One of the main challenges for the government is keeping the persona of the South West of England while still meeting the needs of locals in the area. Many people already living in the South West do not want to see affordable housing in the shape of unattractive bland apartments or high-rise building blocks, so the government and developers must keep in mind the character of the area when building affordable housing. The South West is a popular holiday destination for people in the UK and many people try to put second or holiday homes in the South West. The government must be careful to balance the demand for holiday homes along with the need for affordable housing. There has been a lot of debate over whether there should be a restriction on the number of properties that are made available to people who only wish to spend a few weeks or months in certain places in the South West. The government is working on a number of projects in the South West, one of which is in Pool in Cornwall, which will bring new homes and jobs to the area. One of the largest developments that is underway in the South West is in Millbay, Plymouth, the scheme will provide around 1,300 homes with 25% set aside for affordable housing. Finding affordable housing in the South West can be challenging as the area is one of the most expensive places to live in the UK. It is not impossible though to find affordable housing, like with a lot of affordable homebuy schemes it helps if you are working or already living locally. 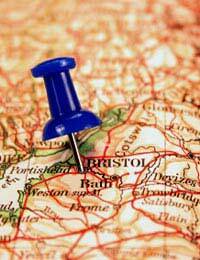 Housing Association especially in the South West are keen to keep local residents in the area and in their homes. The government does not want a lot of homes that are only occupied for a couple of months a year as this does not benefit the economy. If you are trying to find an affordable house in the South West you will need to contact your local housing authority and find out which schemes and developments are taking place near you.